If you want your wedding amazing and organize, creating a wedding agenda is the best fo you. having an agenda in any kind of event is important and helpful for us to list down all the things, event, time, person or group involved, and so on into you the wedding. It’s like meeting agenda that you need to list down or outline certain information on that event. Wedding agenda is basically writing an agenda or a plan on such event. like what will be the activities in the wedding, who will be attended, when will be the wedding(including the time like the start and the ending), and so on. You are writing this type of document to outline the set of important information about the event. A wedding agenda is like your guide or a map in that certain event. It is the outline of the certain very important people in the wedding such as the bride and groom, of course, the photographer, family of the bride and groom, and so on. 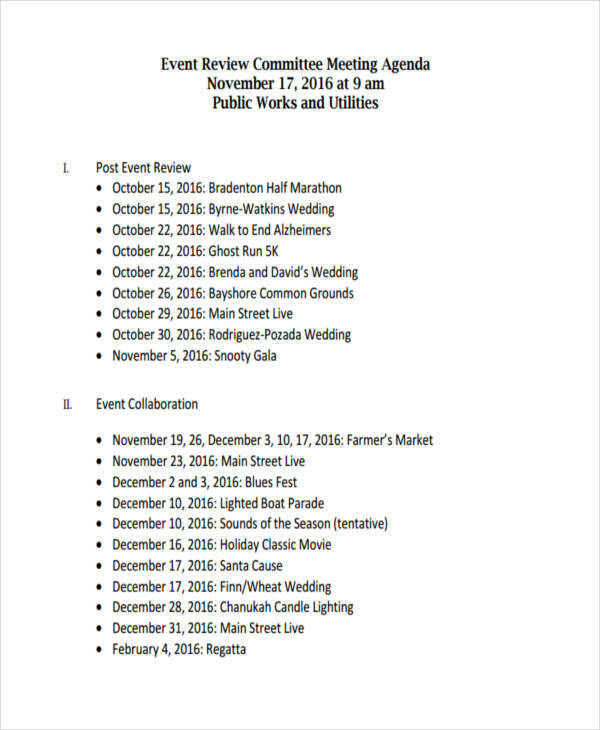 Wedding agenda is part of the event agenda. You cannot comply such satisfaction on the event if you are not making an agenda. That is why we have here a lot of samples in creating a wedding agenda. If you want to see your wedding nice and all organize, you need to have a plan to your wedding or your planning agenda in your wedding. There are simple and basic ways as well as an effective way in creating a wedding agenda. 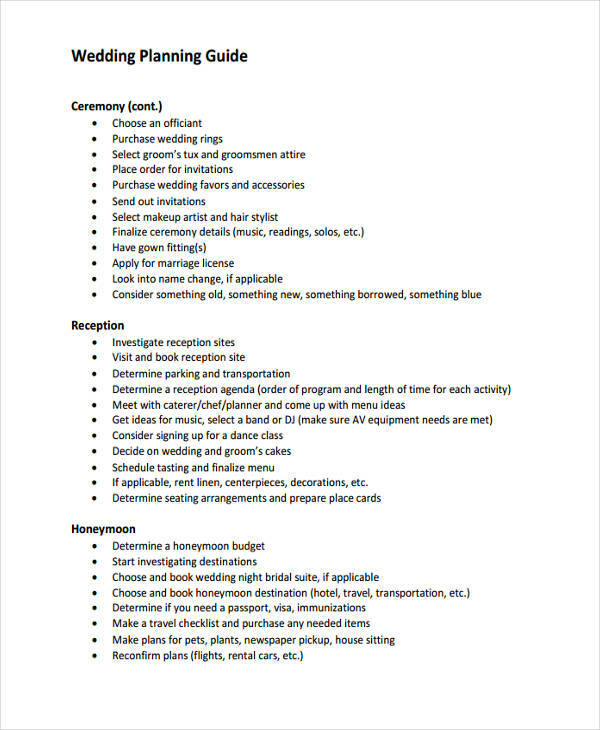 Outline activities or the segments in the wedding. In that way, you can basically, order the event and you can manage the time as well. 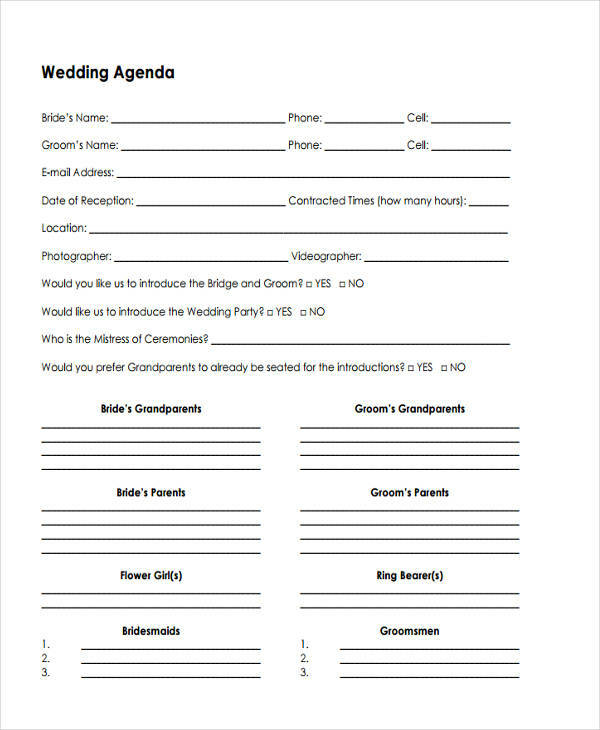 Used computer software in creating a wedding agenda in order to be more presentable and appealing. In making a wedding agenda you need to include every important detail in the wedding. Specially Include the name of the groom and bride. But basically, all the individuals that is part of the wedding must be included also to your wedding agenda such as the groom’s men, bride’s maid, the family of the soon to be husband and wife, and so on. 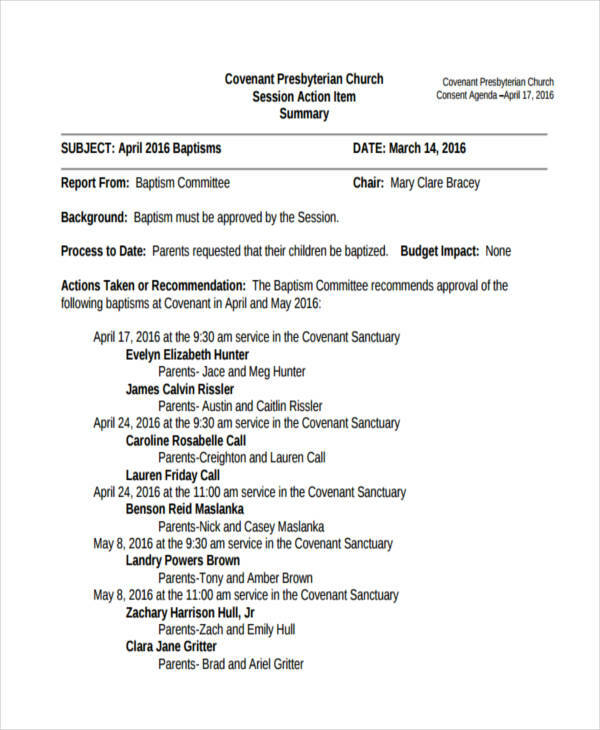 Check out also this Agenda Examples in PDF for your guide. These could also be seen in the wedding’s program card or in the invitation card that most of the wedding must have. Song choice. You also need to include a song in the wedding and basically, it has in every wedding. So in that case, you only need to choose the best song that fits in the type of couple or the story of their love life. Theme. Choosing the best theme in the wedding is important so that the attendees could appreciate the love and effort of the wedding and also could inspire them to have that kind of wedding soon. Decoration. include also the decoration in the wedding, of course, to make the wedding more appealing and beautiful. 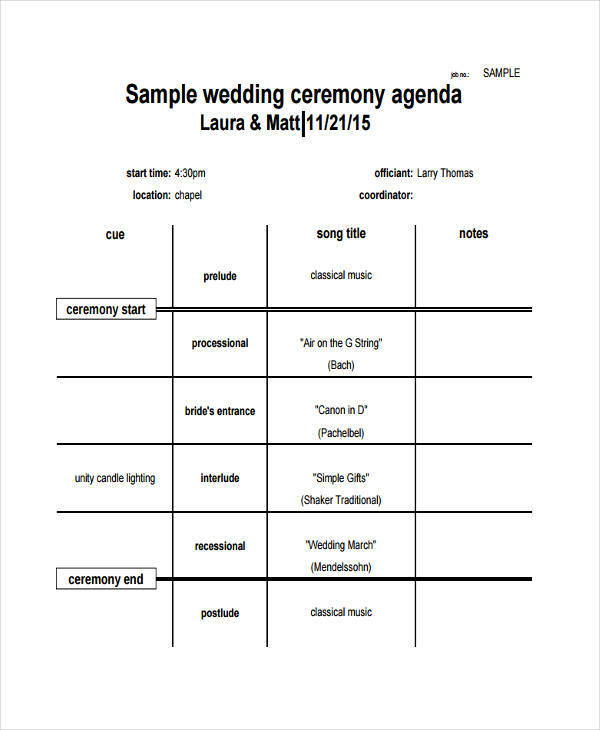 This is basically like making a program agenda, there should an outline on the activities or segments in the wedding. Now that you have gone through a lot in our website, don’t forget to visit here again and if you want to have these examples just hit download. 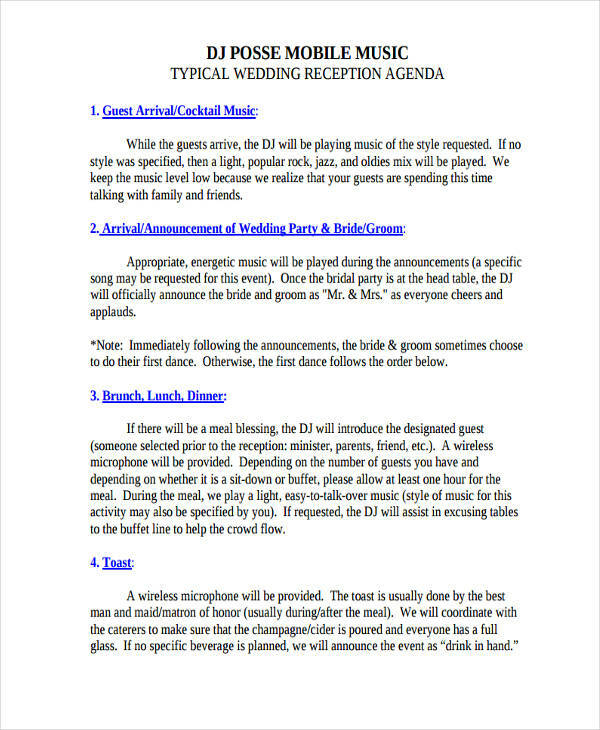 Before that, here are few guidelines in wedding agenda such as important information. 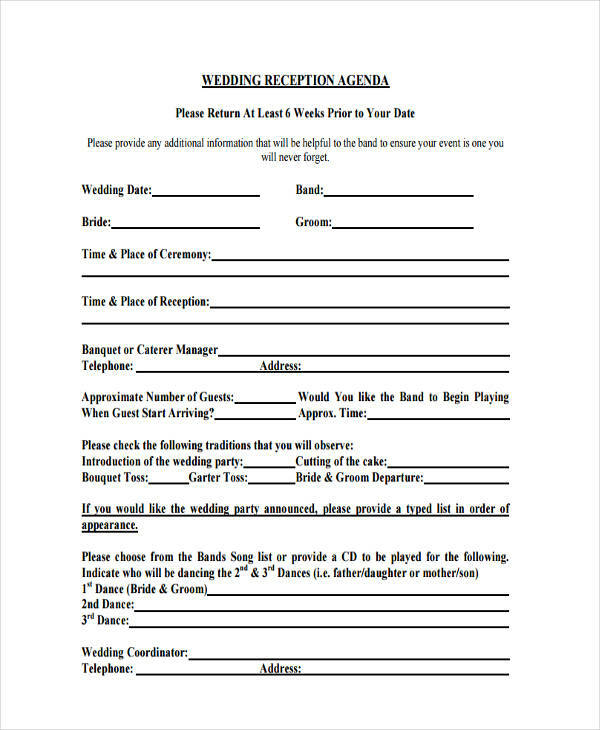 In making wedding agenda, just make sure to write or include the time, location, names involved in the wedding, organizer, photographer, videographer, and so on. 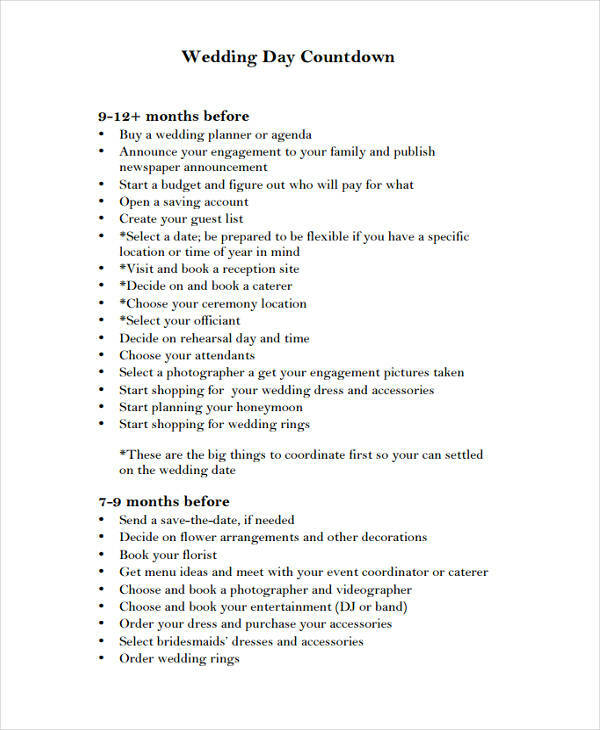 Those are some few guidelines in making wedding agenda. Lucky for you that we have here to complete your needs in making a wedding agenda. You can always check our website for more example that could help you do your work perfect and accurate. See also printable agenda examples and just simply hit download.